What would you sacrifice for her? What separates Rewrite from previous Key visual novels, I think, is that it’s innately defeatist. Continue Reading "Rewrite – Fundamental Pessimism"
Have I been too hard on Rewrite? Continue Reading "Rewrite – 14"
What exactly is it that drives fans to disown an adaptation? Continue Reading "Rewrite – 12"
So… are we counting down to the story’s climax, or the story beginning? Continue Reading "Rewrite – 11"
A 55 yen of coffee will save the world! Continue Reading "Rewrite – 10"
Continue Reading "Rewrite – 09"
Oh hey, the show’s starting. Continue Reading "Rewrite – 08"
And now, the genre shift. 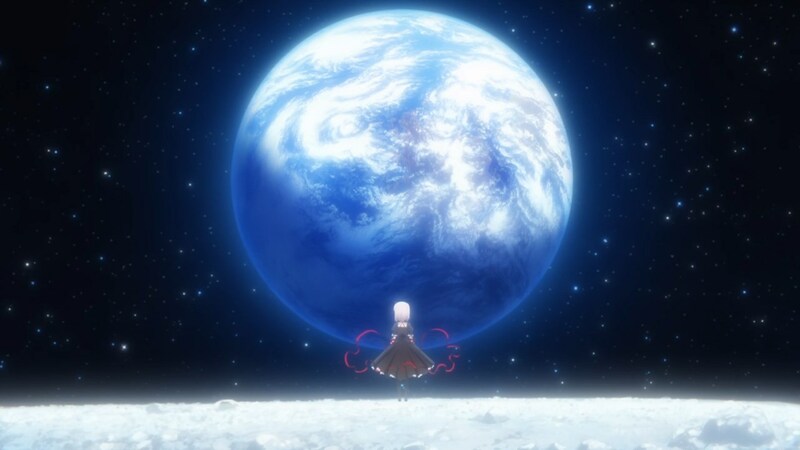 Continue Reading "Rewrite – 07"
One of my chief fears is that a rushed adaptation necessarily loses subtlety, and I don’t know if Rewrite can afford more of that. Continue Reading "Rewrite – 06"
Even with the undeniable mediocrity at parts, perhaps I can still convince you that Rewrite is worth watching. Or at least will be. Continue Reading "Rewrite – 05"
Continue Reading "Rewrite – 04"
It’s hard to tell whether Rewrite is simply not explaining itself, or if it is intentionally obfuscating. Continue Reading "Rewrite – 03"
From laser squids to youth drama, Rewrite is about many things. But ultimately, about only one thing. Continue Reading "Rewrite – 02"
There is a very fine line between surrealism and bad writing. Continue Reading "Rewrite – 01"